We offer many options for the endurance athlete to reach their potential. Whether you are a triathlete, cyclist, mountain biker, runner, swimmer, or an adventure racer, we can teach you the skills to get to the next level of performance. We can guide you thru the training process and prescribe customized training plans as you strive to reach your goals and grow as an athlete. We are specialist in draft legal style racing. Did you make Team USA in the sprint? You need to work with us to learn the techniques for a successful DL race. All our coaches have extensive training thru USAT, USAC, ASCA, Training Peaks & more. No mickey mouse video certifications here! All your training is specific to you and your goals. We don't setup a multi-month plan for you and forget. We are with you every step of the way. We utilize technology to train athletes near and far. Whether you are from Northeast Ohio or across the USA or across the ocean, we can help you achieve your goals! 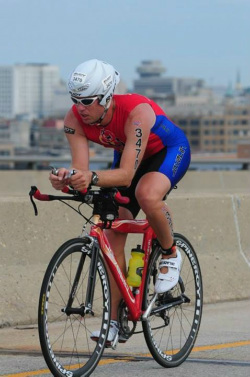 Our coaches have over 3 decades of experience competing and coaching endurance athletes in multiple disciplines. They have distinguished themselves in competition at the National, State, and local levels. The wealth of experience in a broad spectrum of sports has set our coaches apart from other programs. North Coast Endurance Coaching offers many programs from personalized coaching, skills training, & physiological testing to day / weekend training camps. All our coaches are certified by National Governing bodies and are trained by the American Red Cross in CPR and First Aid. You will have the confidence that we are teaching you the best skills available in the safest learning environment. This is guaranteed to lead you to your best results ever. North Coast Endurance Coaching specializes in teaching new athletes the skills needed to not only finish a competition in your chosen sport but to actually compete and feel good while doing it. Our coaches are trained to teach the skills necessary to race fast and minimize the chances of injury. Proven techniques are used that will make your next event or competition memorable and fun! Take your competitive skills to the next level. We can teach you the tricks, hints, and training required to excel. We can do this because we have been there! Every one of us has competed in endurance sports for many years. We are certified coaches with experience in multiple disciplines. We made the mistakes, figured it out, did the research, got trained, and now can guide you so you don't make those same mistakes!